When luxury retail veteran Ira Melnitsky was recently tapped to become the new CEO of Tourneau, he wasn’t the only familiar name to join the Tourneau family. For the first time, Tourneau will also be carrying a select line of Ferragamo watches. Although these developments are unrelated, both names are a good fit for the luxury watch retailer. 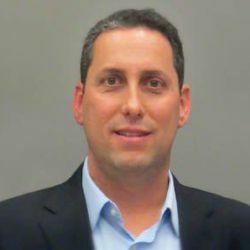 Ira Melnitsky, who will join Tourneau on October 16, has over 24 years of experience in luxury retailing. He has been the accessories buyer at Lord & Taylor and most recently served as the president of the home and better handbag divisions of LF USA. The recent appointment was announced by Tourneau chairman Robert Wexler, who said in a prepared statement that Melnitsky “will do a great job of serving our customers and representing Tourneau’s partner brands.” One of these brands will soon include fashion powerhouse Ferragamo. The popularity of Ferragamo timepieces has not gone unnoticed at Tourneau. Ferragamo watches are a natural extension of the Ferragamo brand. They have successfully combined the classic styling elegance of Ferragamo’s famous bags and shoes with precision Swiss craftsmanship to create a masterful collection of luxury watches that appeal to both fashionistas and watch aficionados. The addition of Ferragamo to the Tourneau lineup is a win-win situation for Ira Melnitsky and Tourneau. Ferragamo customers are very loyal to the brand, and Tourneau’s network of 30 watch stores will give them a convenient new venue to look for their favorite fashion accessory. Savvy Tourneau shoppers will benefit from the new relationship as well. Ferragamo watches are one of a small handful of fashion watches to be taken seriously by watch aficionados. The unwavering attention to detail and impeccable craftsmanship of a Ferragamo timepiece continues to set this iconic brand apart from other fashion brands. You can look for Tourneau to continue its growth under Ira Melnitsky’s leadership. You’ll also be able to look for Ferragamo watches at your favorite Tourneau store. 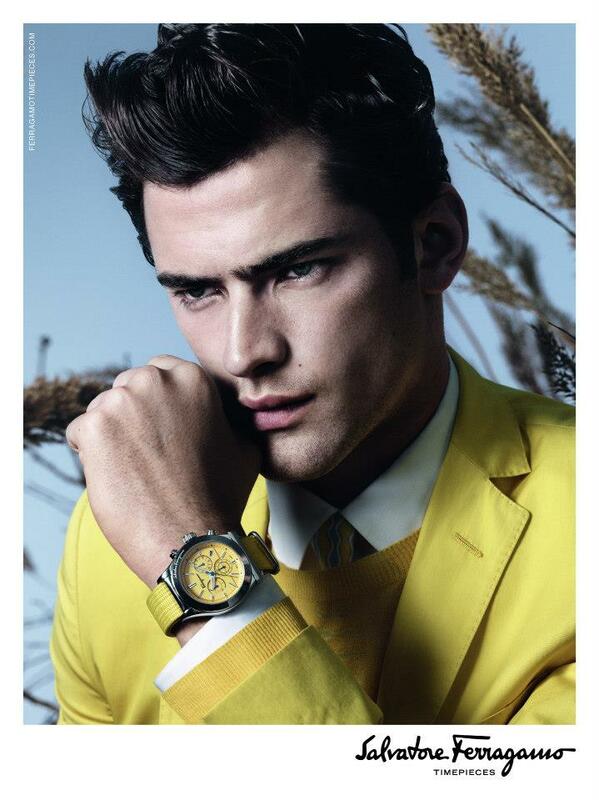 Gevril Group is the US and Caribbean agent for Salvatore Ferragamo Timepieces. You can email us or call 845-425-9882. The Gevril Group is pleased to announce the appointment of Karen Norman as the new US and Caribbean brand manager for the Morellato and Just Cavalli brands. Karen comes to Gevril Group with over 20 years of sales experience within the wholesale and retail industry. Her excellent communication skills and meticulous attention to detail have resulted in impressive sales figures throughout her professional career. As brand manager for two of the Gevril Group’s fastest growing brands, Karen will be responsible for developing new relationships with jewelry chains and key retailers to grow the market for these popular and innovative watchmakers. Morellato is already a popular and well-respected brand in over 40 countries around the world. Now, with a spectacular new flagship store on New York’s Fifth Avenue, and with Karen’s unique sales expertise, the Morellato name will soon become even more familiar to watch aficionados around the country. Morellato’s signature Colours Collection, with its vibrant colors and youthful modern styles, creates a huge new opportunity to make Morellato a familiar name with fashion forward customers everywhere. Roberto Cavalli is already a familiar name to fashionistas. His popular Just Cavalli brand is bringing his signature style to a whole new audience. Karen’s sales experience will be a valuable asset for Cavalli as she opens new markets for this trendy and surprisingly affordable brand. Karen is a graduate of Brooklyn College and received an Associate Degree from New York’s prestigious Parsons School of Design. Her unique combination of design and sales skills will give her a big advantage when working with these two fashion forward brands. Morellato and Just Cavalli watches are available in the US and Caribbean through the Gevril Group. 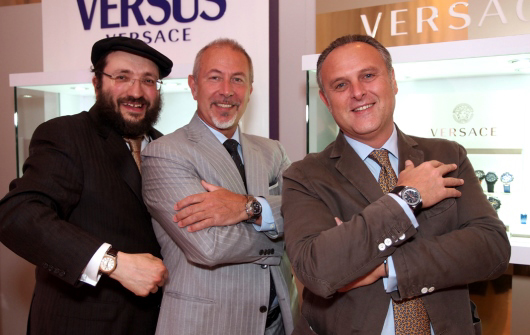 Gevril Group is the sole US and Caribbean agent for Morellato and Just Cavalli Watches. Meet us March 8-15, 2012 to view the colorful Morellato and fashion forward Just Cavalli exhibits at Baselworld 2012, Hall 1.1, Booth B-23. Contact Karen Norman by email or at 845-425-9882. Lucy Korchnoy as Brand Manager for Edox Watches in the U.S.
Lucy Korchnoy brings her extensive watch industry expertise to Gevril Group as the new U.S. brand manager for Edox Swiss Watches. Lucy’s responsibilities will include representing and promoting Edox in the U.S., as well as building the brand’s retail network. Prior to joining Gevril Group, Lucy Korchnoy served as General Manager for the first Frank Muller boutique in the U.S. This flagship New York City store was a showcase for Frank Muller’s sophisticated and extremely complicated timepiece creations, and Lucy, who is fluent in both English and Russian, was a key player in introducing the high-end brand to the U.S. market. Lucy’s love of luxury watches and her knowledge of the industry will be a valuable asset to Edox as it continues to expand its retail presence in the United States. The Edox name is already familiar to discriminating customers on five continents. The Gevril Group is confident that with Ms. Korchnoy’s help, this historic and highly regarded brand will continue to build its reputation as one of Switzerland’s leading names in fine timepieces.